Unlike other developments, the single most important factor in designing this exclusive development in Cheshire has been the quality of our builds from both a materials and finishes perspective as well as the professionalism and skill in which your homes are built. It is for this reason that we have chosen to partner with Cheshire-based custom and self-build estate agents, Cherish Homes and their manufacturers Dan-Wood. Dan-Wood houses combine superb quality of design and construction with exceptional value for money. An experienced and dedicated team of architects, designers and trades people use only the best quality materials to build your house in only eight to 12 weeks. Everything, from initial design through to interior decoration, is included in a fixed price, with exceptional thermal efficiency and ventilation – which comes as standard in every Dan-Wood house – ensuring comfortable, cost-effective and energy-efficient living. Dan-Wood houses are manufactured in the Danwood Plc factory in Bielsk Podlaski in Poland, where over 1000 houses are produced every year. Danwood Plc has over 1400 employees and is the biggest manufacturer of timber-frame turn-key houses in Poland. It is against the backdrop of an established, respected and successful brand that we can guarantee an incredibly efficient and positive self-build experience. Click here to find out more about the standard of our materials and finishes. Looking for further information about our credentials or have questions about your specific house project? Get in touch today. The information contained in this website is for general information purposes only. The information is provided by Cherish Homes Ltd and while we endeavour to keep the information up to date and correct, we make no representations or warranties of any kind, express or implied, about the completeness, accuracy, reliability, suitability or availability with respect to the website or the information, products, services, or related graphics contained on the website for any purpose. Any reliance you place on such information is therefore strictly at your own risk. These particulars are only a general outline for the guidance of intending purchasers or lessees and do not constitute in whole or in part an offer or a Contract. Reasonable endeavours have been made to ensure that the information given in these particulars is materially correct but any intending purchaser should satisfy themself by inspection, searches, enquiries and survey as to the correctness of each statement. All statements in these particulars are made without responsibility on the part of Cherish Homes Ltd or the vendor. No statement in these particulars is to be relied upon as a statement or representation of fact. Neither Cherish Homes Ltd nor anyone in its employment or acting on its behalf has authority to make any representation or warranty in relation to this property. Photographs and images are representative only. Any areas, measurements or distances are only approximate. 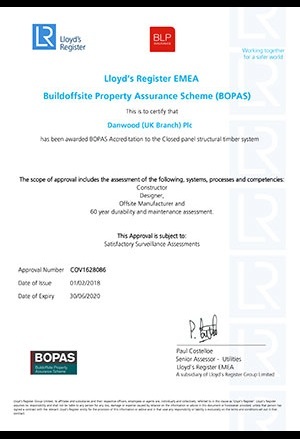 Any reference to alterations or use is not intended to be a statement that any necessary planning, building regulation, listed building or any other consent has been obtained. Amounts quoted are exclusive of VAT if applicable.